Nike Sportswear will be debuting a brand new military-themed Air Force 1 during the fall season called, the Air Force 1 Utility. 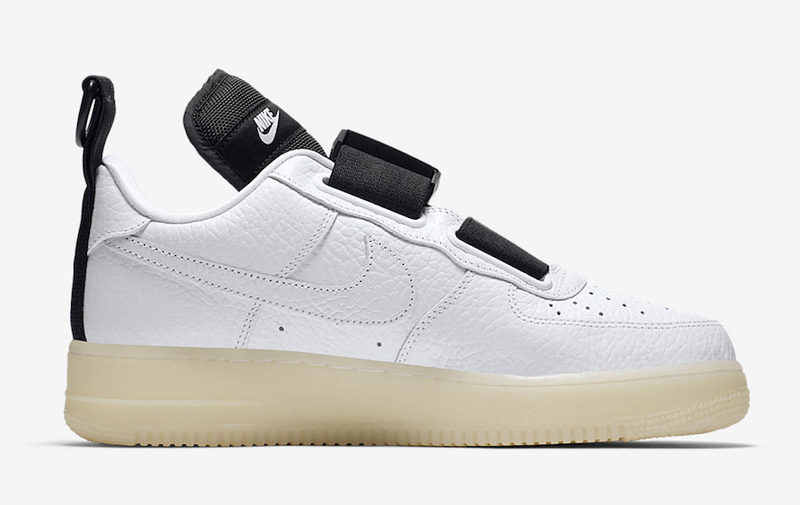 The added details to this Nike Air Force 1 are its buckled straps, mesh material on the tongue and heel pull tab atop a glow-in-the-dark sole. Its upper features a full White tumbled leather material with perforated detailing on the toe area for a nice signature touch. Look for the Nike Air Force 1 Utility to release on October 5th at select Nike Sportswear retailers and Nike.com. The retail price tag is set at $145 USD.